In 2014, the international fashion brand Stradivarius celebrated its first 20 years: the women’s clothing company partnered with Folch to organise a remarkable campaign involving different elements and media. In the world of fashion, parties have always been a recurring event, what we thought would be interesting to do for Stradivarius’s anniversary was to create a campaign and an exclusive event which could represent a real brand experience for all the guests. 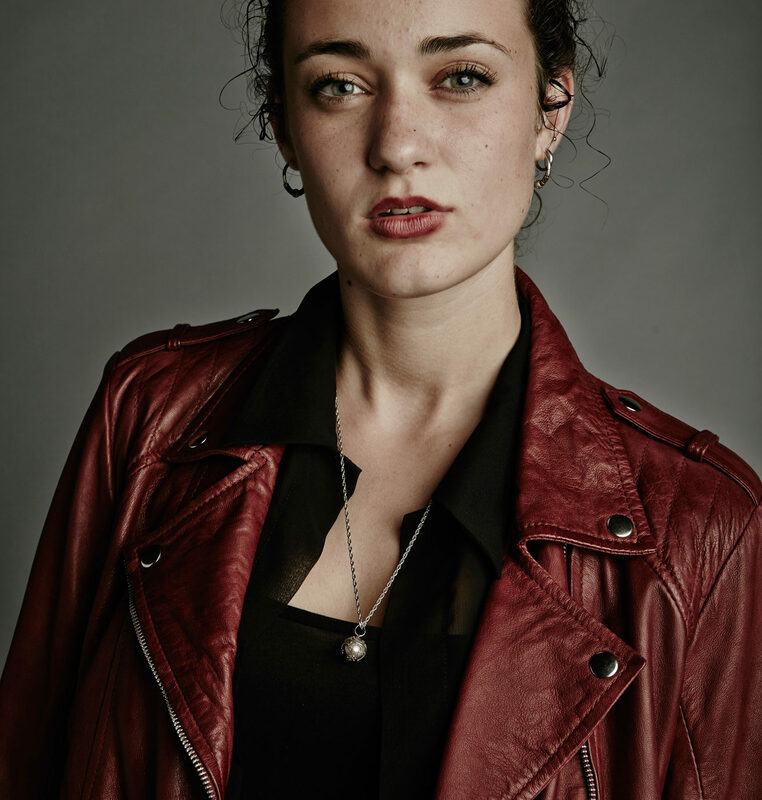 We wanted to focus on the idea of the brand growing up, so we worked on the concept of “emerging adulthood”. The period just after adolescence in the life span, where adolescents become more independent, where they build their personalities and explore various life possibilities, claiming their uniqueness as individuals. The campaign we conceptualised was created and developed around the special event: but it wasn’t just about showing a great party to the world we wanted to go a step further. It was about creating a pretext to generate quality content for the subsequent publishing of a limited edition brand magazine. With that in mind, we proposed Stradivarius to cast a photo shoot in the venue of the event in the footsteps of Richard Avedon’s project In the American West: in an out of context situation. We wanted to place a sheer white background, a set of lights and ask a renowned photographer to portray the attendees. 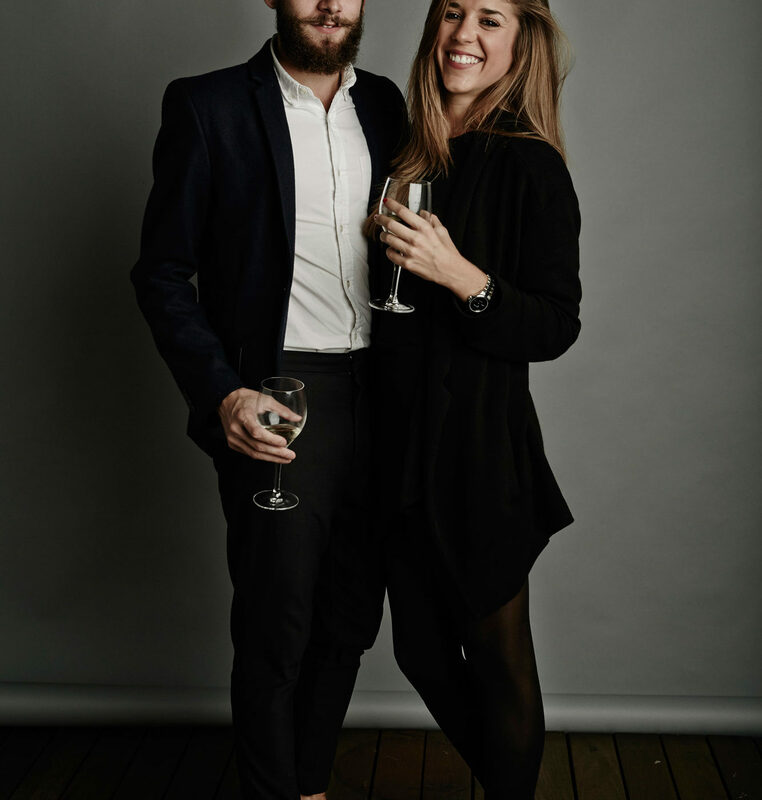 The pictures of the spectacular party and its guests would convey into a unique brand magazine called “The Event Paper”, printed on newsprint and distributed in over 800 Stradivarius selected stores. The guys from the Stradivarius team were really excited by our proposal of converting a party into a cross-platform campaign, and excitement grew when the great fashion photographer Bela Adler accepted our invitation. 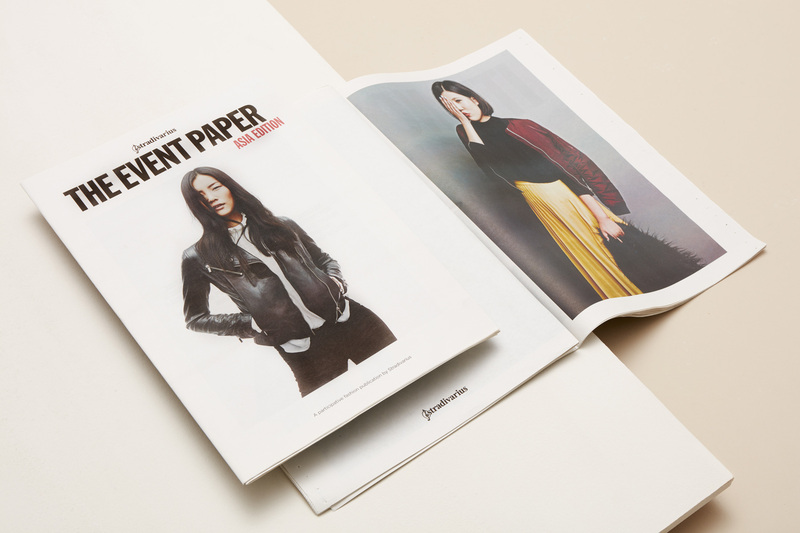 The newpaper “The Event Paper”, printed in 100’000 copies and distributed in selected stores, converted the event and its guests into an important part of the history of Stradivarius. Everything was ready to go. Weeks before the event, the campaign was launched with both online and offline communications and invitations were sent out to get people to join the special party and to take part in the publication. 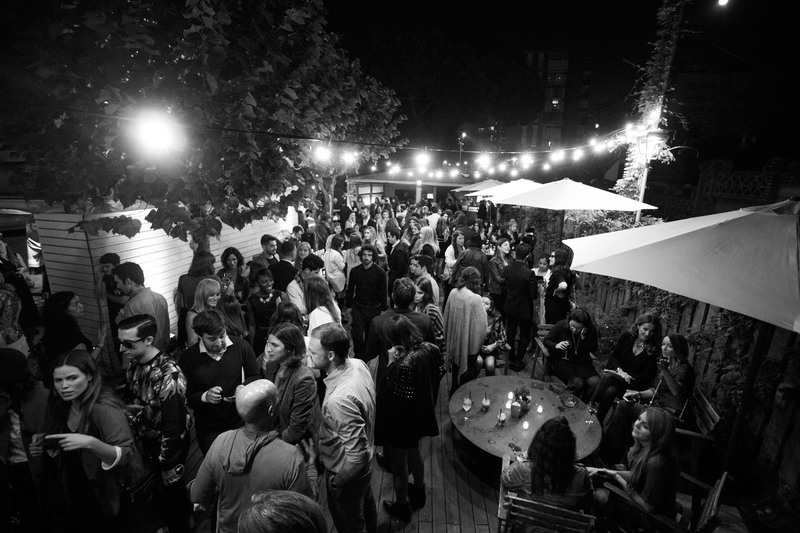 Held in Los Tilos, a modernist building located in uptown Barcelona the great event gathered over 200 selected guests from models, designers, stylists, photographers and brand influencers under a sky of garland bulbs in the charming garden of the building. Among the extraordinary international attendees who stayed in front of Bela Adler’s camera were the models Poppy Delevingne, Atlanta de Cadenet-Taylor and Harley Viera-Newton, all recognised worldwide fashion figures. Renowned DJ’s on the national scene warmed up the crowd before handing over to the fashionable duo formed of Atlanta de Cadenet and Harley Viera Newton who turned the dancefloor into a memorable party. 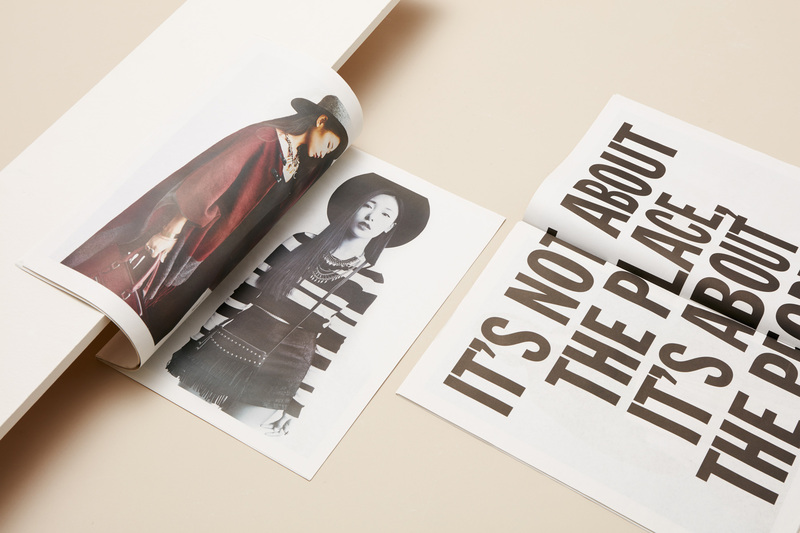 “The Event Paper”, the magazine that collects Bela and Salvador’s photos of the special event, was designed in line with the whole campaign. Based on the concept of “emergent adulthood”, the campaign is visually inspired by the “pinboard” and its whole visual environment is characterised by cutouts, photographs and inspirational sentences. On a typographic level, we chose Franklin Gothic Extra Condensed a strong yet elegant typeface appropriate for fashion which also offers a lot of character. 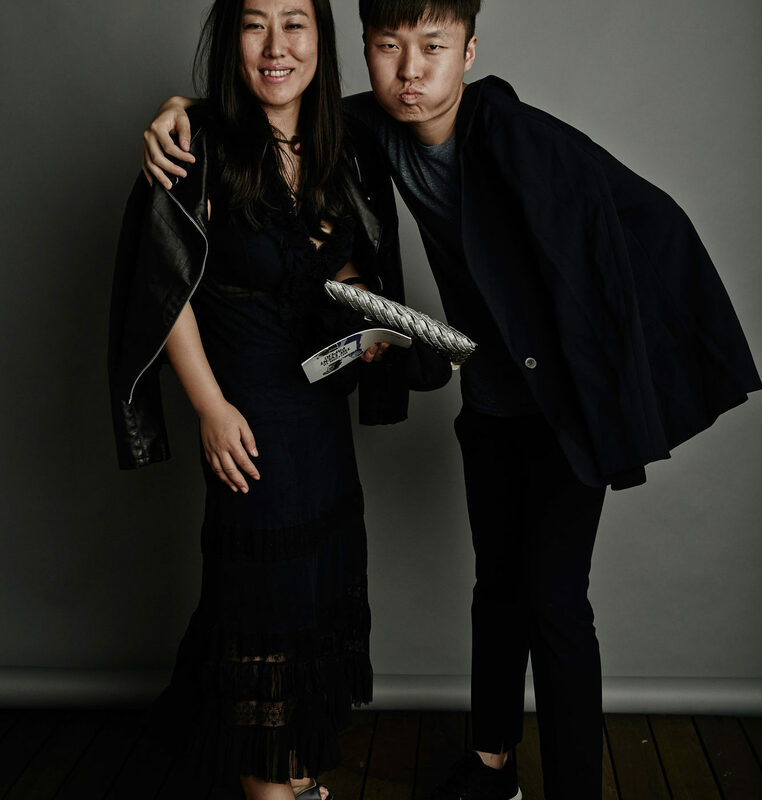 From the beginning, we knew that the magazine should be designed in a generous format, typical of the fashion editorial world, including the visual material gathered from the event, together with secondary brand-related content. The central spreads worked as a mini-catalogue for the upcoming Fall-Winter 2014/2015 collection. As already mentioned, together with Stradivarius we chose the newspaper format in order to broaden the target audience and achieve the highest number of readers possible. It wasn’t just a gift for the guests, it was also an item to be enjoyed by the Stradivarius fans who were most excited to get their hands on the publication when it landed in the stores. The Asia Edition of the Event Paper was created based upon the creative concept set by the earlier event in Barcelona, a concept with aim to connect to a new audience and create an event that goes beyond what is expected. Following the recent launch of its Chinese e-commerce platform, Liu Wen and Cate Underwood stole the show in Shanghai at a memorable party for over 300 attendees, that included a photoshoot by the prestigious photographers Bèla Adler and Salvador Fresenda framed at the rooftop of Shanghai’s union building, a 1916 neo-renaissance style construction. The invitation claim of the party was “Be part of our story” and we must say that the guests didn’t miss this chance, the impact on social media was swift using the hashtag #TheEventPaper, it generated considerable buzz across all social networks. As the party got started so did Instagram, photos of the world famous DJs, delicious cocktails and photobooth photos flooded in under the hashtag #TheEventPaper. The huge activity, predominantly on Instagram and Twitter had its peak during the party, when celebrities, bloggers, stylists and models shared their pictures and comments with their thousands of followers. But even after the big event, people carried on using the hashtag, wondering when the magazine would be out, looking for it in Stradivarius stores and asking where they could get hold of the publication. 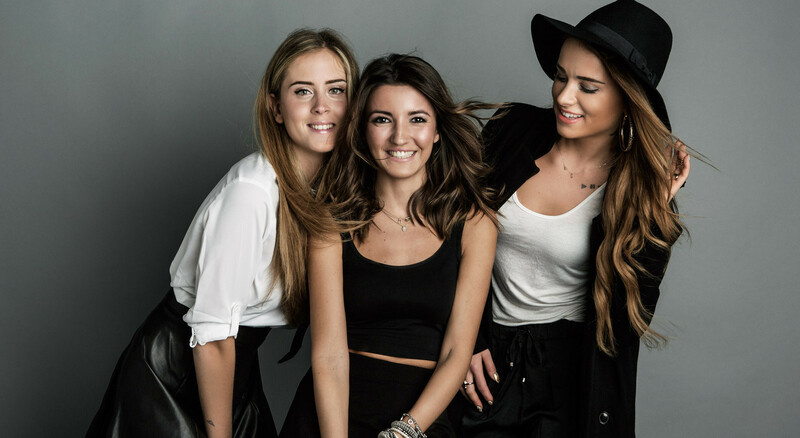 The campaign had achieved all the goals it set out to do, creating empathy with the brand audience, getting the highest possible visibility on social networks, fashion press, blogs, and even targeting new audiences whilst creating a new visual language coherent with the main brand. “The Event Paper” concept got quite big on the internet. On Instagram, #theeventpaper hashtag was shared 1.460 times, with Stradivarius’ concept-related posts receiving an average of 30.000 to 55.000 likes per post. The same happened on Twitter, while on Facebook the photo album received more than 6.300 likes. Searching “The Event Paper Stradivarius” on Google offered over 400k results, articles, and news, of which Vogue Portugal and ELLE Italy are the most significant. Amongst other celebrities, Poppy Delevingne (Instagram +1.200.000 followers), Atlanta de Cadenet, (+88.400), Harley Viera Newton (+117.100) and Úrsula Corberó (+907.900) also attended the launch event in Barcelona (which was also held, later, in London).